Today I bought a magazine and I honestly can't remember the last time I did this! 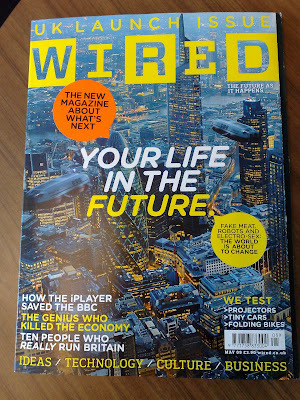 The event that has prompted me to part with my money at the newstand is the UK launch of Wired magazine. 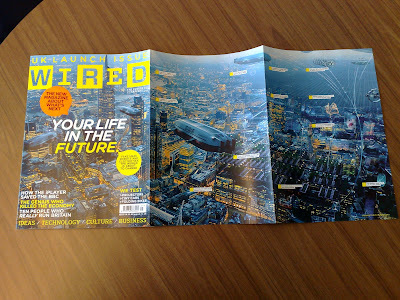 Wired is long established in the US, but after an absence of over 10 years, today Wired has returned to UK newstands. There is a varied mix of columns / snapshot editorial and main features. The thoughts of Russell Davies, a profile of a Google User-experience researcher, an interview with Twitter founder Evan Williams and how to pitch the iPhone Apps store are highlights of the early sections of Wired UK. There are also sections to cover Tests, Gadgets (called 'Fetish') and How to information. The only aspect that I think could be improved is the digital integration. A number of Wired UK contributors have their blogs referenced, but I could only find one journalist who had listed his Twitter ID. 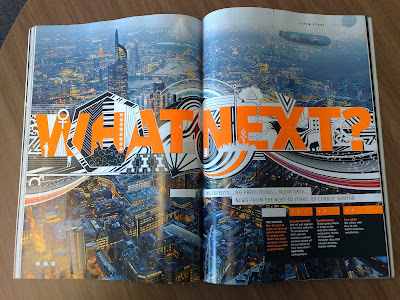 My guess (hope) is that the majority of the Wired UK staff will be on Twitter and regularly blogging interesting thoughts and ideas - why not publish ID's in the magazine and let readers interact more directly? All in all I think Wired UK is rather good. It's actually quite refreshing to revert back to reading nicely formatted printed matter - a pleasant change from the standard diet of Blackberry and laptop information consumption! I'm pleased with my magazine purchase and may well be buying Wired UK next month too. Nice to see you think there's life in magazines yet ;-). I think the key to success for them is to remember that it's highly likely that their target audience spend most of the day participating in communities, engaging with each other through things like Twitter and sharing things they find useful. If Wired just becomes a GQ for tech then I think it will struggle to maintain momentum on a monthly basis. However, if they find new formulas that engage their readership outside of a standard letters page then they could be on to something. Why not have a post of the month syndication? Post certain articles online for discussion and then print the comments in the following issue? Guest columnists from the blogosphere? Replicate Twitter noise around key events? Online polls where users decide on some aspect of the magazine? Launching on the day that Maxim closes, it will be interesting to see how it does. 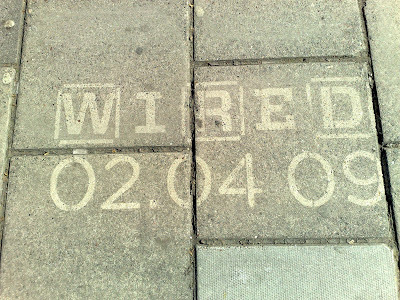 Still ruminating about whether or not I need to buy a UK Edition of WIRED. I remember the last one. i am wondering whether there is a point in subscribing to the magazine since most articles can be found on the website. any thoughts on that?